We create new experiences with beloved and infamous character brands. We welcome the weird, edgy, goofy, comedic, wacky, and farcical. Our projects bring together creators and players in the name of fun. 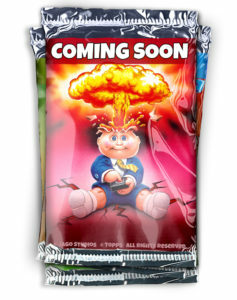 GARBAGE PAIL KIDS® MOBILE GAME COMING FROM JAGO STUDIOS AND TOPPS! Jago Studios is partnering with The Topps Company on the development of an upcoming mobile game based on Garbage Pail Kids (GPK). The card-collecting role-playing game will include characters from the original GPK line of collectible trading cards and stickers issued by Topps in the 1980s, as well as contemporary cards more recently released.